Desperate Hours screens in 35mm September 11 & 12 as part of our tribute to director Michael Cimino. Clad in Armani, and looking every bit a movie star with a middle-weight boxer’s edge, Mickey Rourke teams up with Michael Cimino for a third time, in this tense, claustrophobic thriller. In retrospect, it looks like Desperate Hours was Rourke’s last stand as a Hollywood leading man in terms of his tough guy good looks, that would soon acquiesce to a more hard-scrabble appearance brought on by a stint as a professional boxer. Despite a conga line of memorable performances, there were whispers within the industry that Rourke was difficult to work with, a reputation that Cimino had already carved out for himself after the beating he took at the hands of critics and Hollywood insiders alike for Heaven’s Gate – a film that just might be as misunderstood, as it is maligned. In Desperate Hours the irony shouldn’t be lost that the title of the film mirrors Rourke’s and Cimino’s fight for their industry livelihoods and reputations. If these two veterans of the Hollywood trenches had called it quits after Year of the Dragon, a film that bloodied the screen with energy and passion, they would both be first ballot hall of famers – if such a thing existed. With Hollywood closing its doors on the director and his leading man, the two men circle the wagons and make an unapologetic re-make of the 1955 William Wyler drama that starred Humphrey Bogart. After a time-lapse opening credit sequence of night time giving way to a bright red and orange sunrise, a Jaguar XJ-S kicks up dust as it races across the Utah landscape. When it finally comes to a stop, the door opens to reveal the long legs of a stunning Kelly Lynch as defense lawyer Nancy Bryers, a shot that is reminiscent of Faye Dunaway in Bonnie Clyde. As Lynch emerges from the car in high heels and black silk stockings, she’s a tall, red cherry Life Saver of a screen siren, and when Mickey Rourke tells his brother later in the film “She’s the only person that I’d die for,” we get it. Looking as nervous as she is beautiful, Lynch is on her way to help her client, the brilliant sociopath Michael Bosworth, played with charm and rage by Mickey Rourke, escape from prison. Aided by two more accomplices – his easily manipulated younger brother Wally, played with an appropriate neediness by Elias Koteas, and the dim witted Albert, an urban version of Steinbeck’s Lenny, which moved the needle even further in the career of the always excellent David Morse. 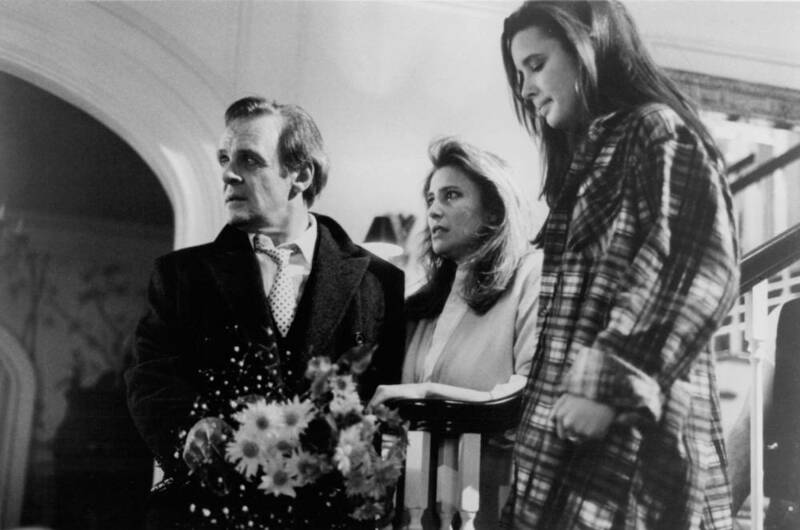 In an upscale neighborhood in another part of town, Tim Cornell (Sir Anthony Hopkins) is trying to reconcile with his wife Nora (Mimi Rogers), after he’s broken off an affair with another woman. While their two children eavesdrop from upstairs, the house has an empty, melancholy feel. It’s clear their father’s presence has been missed. After an attempt at reconciliation fails, and Tim’s suggestion that she not sell the house is rebuffed, Nora’s reason is simple – “I can’t believe anything you say, Tim.” This is the film’s foundation that Cimino builds his drama on – trust and betrayal. When Hopkins returns later in the day bearing gifts to apologize to his wife, he finds the house occupied by Rourke and his two-man crew, who are waiting to rendezvous with Rourke’s attorney and fiancé – Lynch. Hopkins – “Why here? Why my house?” Rourke – “Fate.” After Rourke lays out the rules, he almost lies in wait for Hopkins’ character to attempt a coup. Later, when he taunts Hopkins in front of his family, telling him that “I’m the better man!” it’s hard not to imagine that Rourke’s subtext is in reference to their acting chops. There’s a sense of urgency in Rourke’s performance that can be as compelling as it is frustrating. Not because of what it lacks, but by the sense of loss that we didn’t get more of this iteration of Rourke in the 90’s. Seeing Mickey Rourke in Desperate Hours is like seeing a band’s last concert before they broke up and reformed 20 years later. Credit to Cimino for keeping the story moving at a quick clip, while showing no plans to go gentle into that good night from a career stand point. The director pushes his two male stars to challenge each other mentally and physically, with the older Hopkins showing that he can go bark for bite with the younger Rourke. Critics are wont to bisect Cimino’s career into a pre and post Heaven’s Gate category, but in doing so, it fails to honor the most rewarding aspect of his filmmaking – the risk taking. 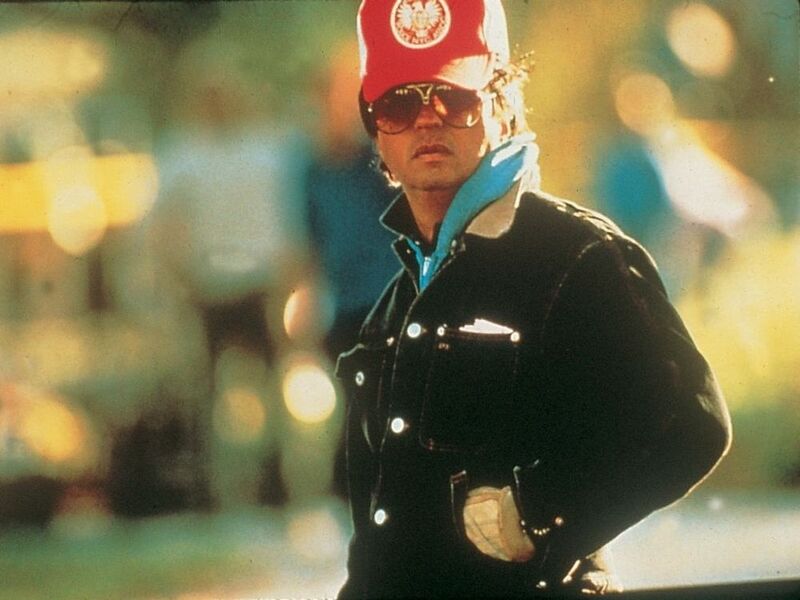 Ultimately, when we look at Cimino the director, it’s his compelling ensemble performances, married with bold visuals that will stand the measure of time. In Desperate Hours the dynamic between the triumvirate of Rourke, Hopkins and Cimino, rises above any shortcomings the film might have. 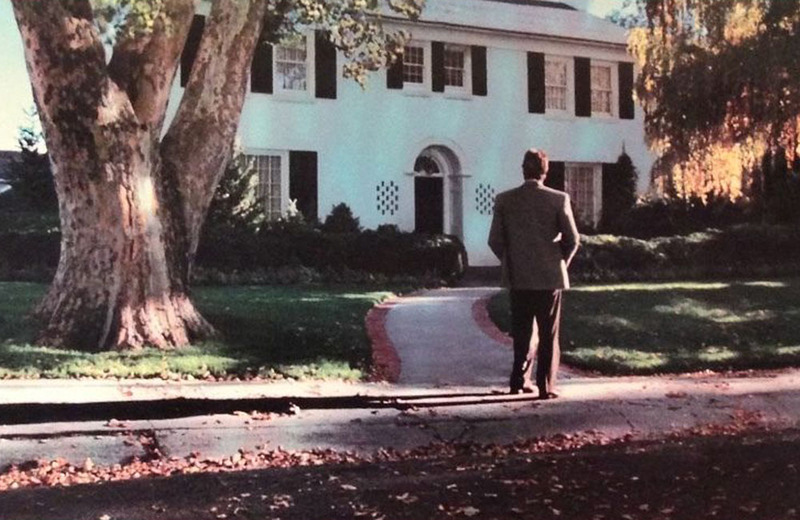 Cimino puts us in that elegant house on the quaint tree-lined street and locks the door behind him.